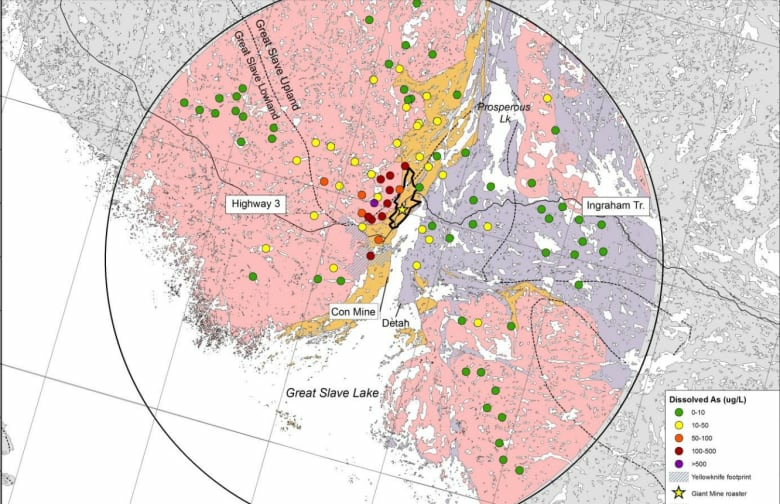 Plans are underway to conduct the most comprehensive sampling program ever done to determine how much of the contaminants from historic mining are finding their way into the bodies of people living in the Yellowknife area. Plans are underway to conduct the most comprehensive sampling program ever done to determine the concentrations of arsenic and other contaminants in people in the Yellowknife area. Researchers are planning gather urine and toenail samples from 1,500 to 2,000 people to gain an understanding of how much of the contaminants from Giant and other mines near the city have found their way into people's bodies. "The overall goal is to collect baseline information of current exposure levels of contaminants, including arsenic, among the Yellowknife population," said Dr. Laurie Chan, the University of Ottawa professor who is developing the monitoring program. The program is a requirement that came out of the environmental assessment of the clean-up plan for Giant Mine. Is Yellowknife ready to reckon with its toxic legacy? Chan is hoping to begin the sampling next fall. Samples will be taken from people from Ndilo and Dettah as well as Yellowknife. "And then every five to ten years we will do a follow-up. With the closure of the mine we would expect — hopefully — to see contaminant levels coming down, and as a result, human exposure levels coming down as well." It's been almost 40 years since a study of this kind has been done in Yellowknife. That 1977 study was much smaller and concluded there were elevated levels of arsenic in people living in the N.W.T. capital and that levels in workers at Giant Mine were tens of times higher than those who did not work at the mine. The samples collected in the new study will be analyzed to determine what kind of arsenic is found in urine and toenails. Organic arsenic is a common metal and relatively harmless since it does not readily dissolve in water. Inorganic arsenic, such as that in the arsenic trioxide dust emitted by Giant mine, is highly toxic. Recent studies have shown that much of the arsenic emitted by the mine, even the arsenic that spewed out many decades ago, is still present in soils and lake sediment in the city. The Yellowknife study will follow a similar methodology used in a multi-year study of contaminants in the general population of Canada. Chan says that study, being done by Statistics Canada and Health Canada, provides contaminant levels in tens of thousands of Canadians. "So we can actually compare directly the results collected from people in Yellowknife to the rest of the country." The sampling is one of two research projects underway to assess the risks associated with contaminants at the mine. The other one is examining the concentrations of contaminants in the Yellowknife environment, and looking at the different ways they get into people's bodies — such as by eating berries and other wild foods that may be contaminated and by breathing in airborne contaminants. The researchers want to use the data to develop models to predict how exposure to the contaminants, and the health risks associated with them, may change in the future. 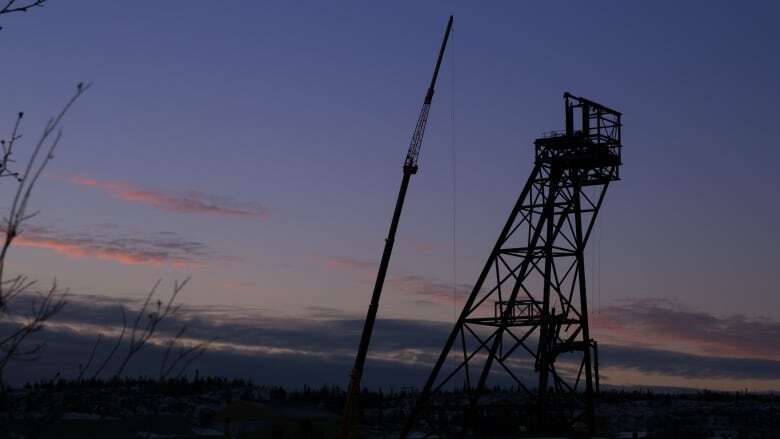 "So if we find we're not having a positive impact, we can improve our remediation plan," said Natalie Plato, deputy director for the Giant Mine remediation project. Plato said results of that study are expected this summer. The projected date for completing the clean-up of Giant is 2030.